Kittens on demand today from Uber! They’re cute, they’re cuddly, they can lower your stress levels with a single pat. They’re kittens and today they’re coming to you courtesy of Uber. Yes, really. Between noon and 4pm today, Uber drivers will deliver kittens to your door – your office, your home or wherever you may be – for 15 minutes of purr-fect feline hugs. All you need to do is pick the KITTENS option in the Uber app… and it’s kitten cuddles for you and the kids. It’s all for a good cause too. The kittens come from local animal shelters and all money from the Uber visits will be donated to the shelters. And if you – or the kids – fall completely, hopelessly in love with your kitten, you can even arrange to adopt it and give it a forever home. 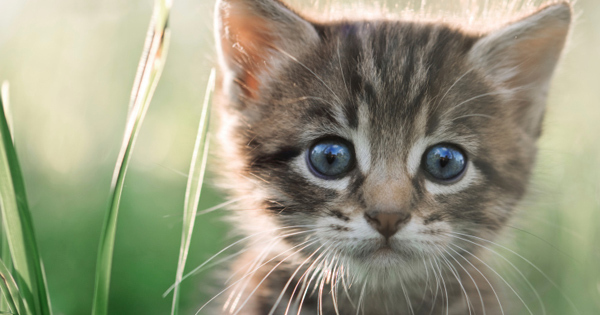 It costs $40 for an #UBERKITTENS visit and the money will be charged to your Uber account. You can split the cost with friends too via the Uber app, if you want to share the kitten love around. We should point out that a shelter representative will accompany the kittens to ensure they’re looked after and kept safe, so there’s no worries about the welfare of these furry bundles of cuteness. Visits from Uber kittens are available in Sydney, Perth, Brisbane, Gold Coast, Melbourne and Geelong today only (5 February, 2015) between noon and 4pm. Keep trying if you can’t get a booking right away – Uber expect kitten cuddles to be rather popular!